SQL Transaction Log Analysis Tool is an innovative utility to view, read and analyze transaction Log files in SQL Server. The SQL Log Analyzer supports to view LDF file and recover SQL transaction Log file data on SQL Server 2005, 2008, 2012, 2014, 2016, 2017 editions. SQL LDF File Viewer supports to open, read and analyze .ldf files in Microsoft SQL server 2017, 2016, 2014, 2012, 2008 and 2005 editions in Windows Operating System. SQL Log Analyzer preview .ldf actions like Transaction, Time, Name, Table Name, & Query etc. And also it allows to open, read and analyze different SQL transactions like INSERT, DELETE, UPDATE etc. SQL Server Log Analysis tool supports advanced data types namely Datetime2, datetimeoffset, sql_variant, hierarchyid, geometry & geography data types etc. SQL Transaction Log Reader tool permits the user to connect to online SQL Server Database (live) using the credentials to fetch database and records automatically. It also provides options to select SQL Server Database version, if database file version is not detected automatically. This allows the user to view, read and analyze SQL records and various transactions like INSERT, UPDATE, DELETE etc. within the database. This inbuilt feature in LDF Viewer allows the user to connect to Live Database for accessing transaction log files. SQL Log Viewer allows to open, read, preview and analyze SQL server transaction Log activity in an SQL Server database. Since SQL Server saves log activity and transaction details in the .ldf file; analyzing and detecting of SQL Server corruption is easy. SQL Server Transaction Log Analyzer preview includes; Transaction name, Transaction time, Table name, Query etc. And also SQL LDF Reader scans and loads tables present in SQL database easily. In order to avoid the entire scanning of corrupted SQL Server database file for recovery, SQL LDF Recovery utility would be beneficial. In such cases, the user needs to provide the healthy .ldf file of SQL Log file with the associated MDF file (Primary SQL database file) for a quick recovery. 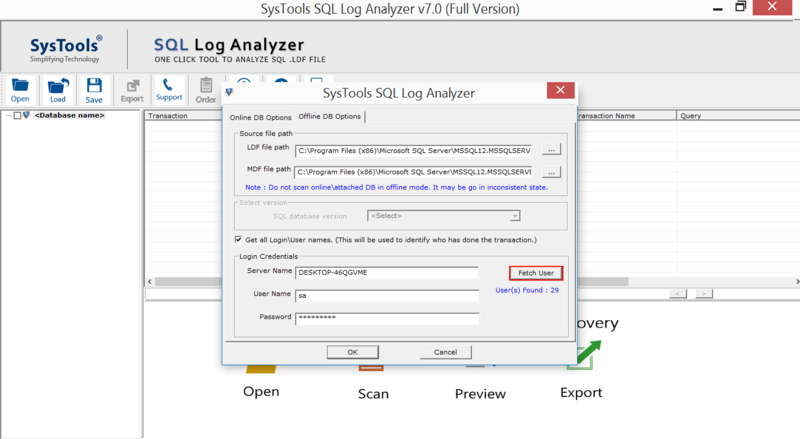 After that, this SQL Log Analyzer tool will scan and export the complete data to SQL Server and its compatible formats. The MS SQL Transaction Log Analyzer tool provides 3 options to export SQL transaction log files queries. 1.Export it as SQL Server database. 3.Export it as a CSV file. Note: To export SQL LDF file directly to SQL Server database, users need to provide valid credentials like Server Name, Database Name, Username and its password. 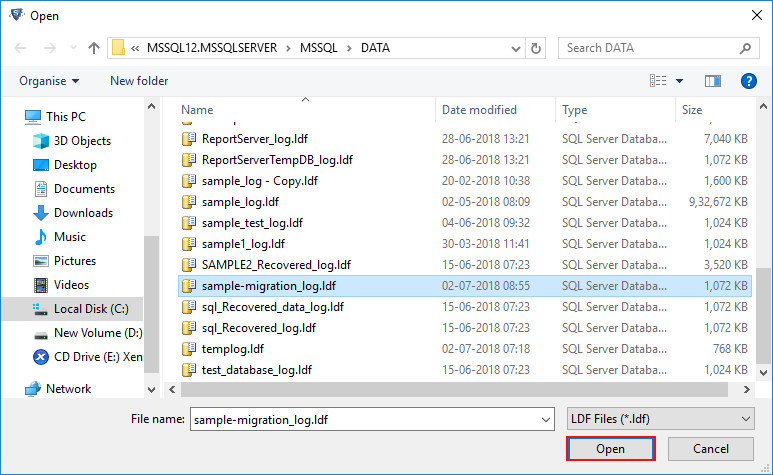 With the help of SQL LDF Viewer software, when a user adds single SQL LDF file at a time, the application automatically detects MDF file associated with it if both the files are in the same location. Otherwise, the user needs to browse separately for the MDF file. In case if the user wants to recover corrupted SQL Server database then, need to provide all the Log details of the last SQL data backup. The auto-sorting option is available in SQL Log Analyzer utility to re-arrange the order of the list of items in Log file data. The users can sort the elements in the transaction file according to different properties like transaction, login name, transaction time, table name, transaction name, and query. The product also displays the details of any transaction of a particular table in the SQL database. The analyzed SQL file can be used to recover the corresponding corrupt database on the server. The SQL Transaction Log Viewer software supports versions of MS SQL Server like SQL Server 2017, 2016, 2014, 2012, 2008, and 2005 editions. 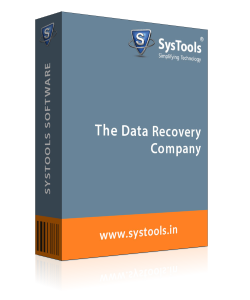 Therefore, one can recover deleted records from transaction log files if the database is in Simple Recovery Mode. The database can be easily recovered and exported. 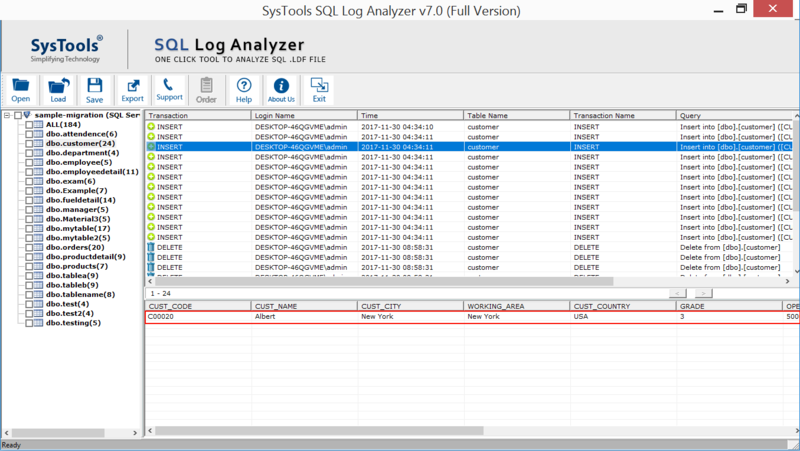 SQL Server Log file analyzer supports forensic analysis of Transaction Log files for the examination of various SQL Server activities. The utility is a standalone tool to view SQL transaction log and it doesn't need Microsoft SQL Server installed on the machine for the analysis. It works on all versions of Windows OS, like Windows 10, Windows 8.1, Windows 8, Windows 7 and Windows XP (for 32 & 64 bit). While exporting SQL Transaction Log LDF file queries, one can check or uncheck the tables to save only the selected data that are necessary for the user. If the user needs to recover SQL LDF file data from any specific table in the database then select and export those particular folders as SQL database, CSV or as SQL Server compatible script accordingly. Once the scanning of SQL Log file is done, this SQL Log .str file can be saved for the future use. That is, this scanned copy of the transaction Log file can be saved as an .str file in order to avoid the rescanning of that file every time when there is a need for it. One can just load this saved STR file to work on the scanned SQL Log file. This option is available for Offline database only. How to Read SQL Server Database Transaction Log File? 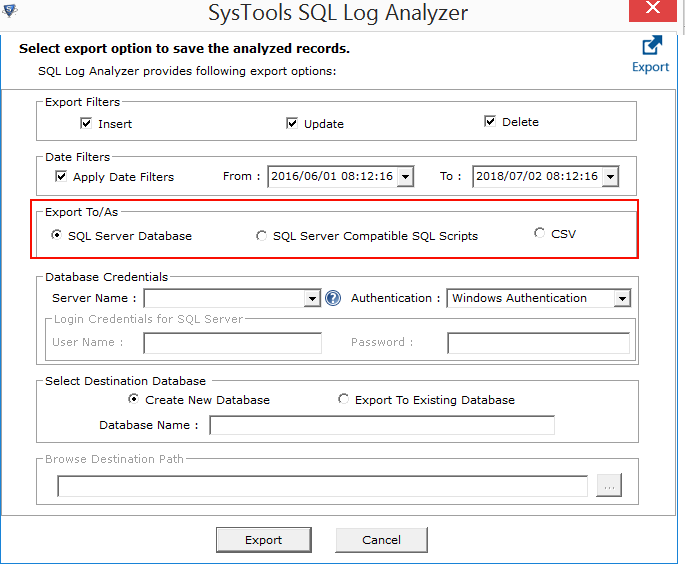 Step 1 : Download, Install and run the SQL Log Analyzer Tool to view and analyze SQL Server transaction Log data in the system. Step 2 : Click on the Open tab to add the .ldf or .mdf file to the utility. Choose Online or Offline database accordingly to the need. Step 3 : Consider Offline database, click on the LDF file path Browse button to load SQL transaction LDF file. Step 4 : Select the LDF file and click the Open button. Step 5 : Now browse and add the corresponding MDF file and click on OK button. And also Fetch User to retrieve User of server. Step 6 : Click on the Ok when scanning completes and view all the complete scanning details like No. of inserts, No. of Deletes etc. And click on the OK button. Step 7 : Now SQL Log Analyzer can save the scanned file in .str file format at the desired location. Step 8 : Now preview the selected Log (.ldf) file data for each table in the database. Step 9 : Select the Table by clicking on the checkboxes provided to export SQL transactions Log files and press on the Export button. Step 10 : Choose or select the Export option to save the records as SQL Server database, SQL Server Compatible SQL Scripts or as CSV file. Step 11 : Now click on transaction record type that user wants to export like Insert, Update or Delete to export SQL database tables. Step 12 : Now Hit the Browse option using the destination field to browse for saving location. Step 13 : After selecting date filters and the saving location, then clicks on the Export button. Step 14 : Then, click on Ok button after exporting process of SQL Transaction Log file (LDF) is completed. Step 15 : See the complete Export report of SQL LDF file and click Yes. 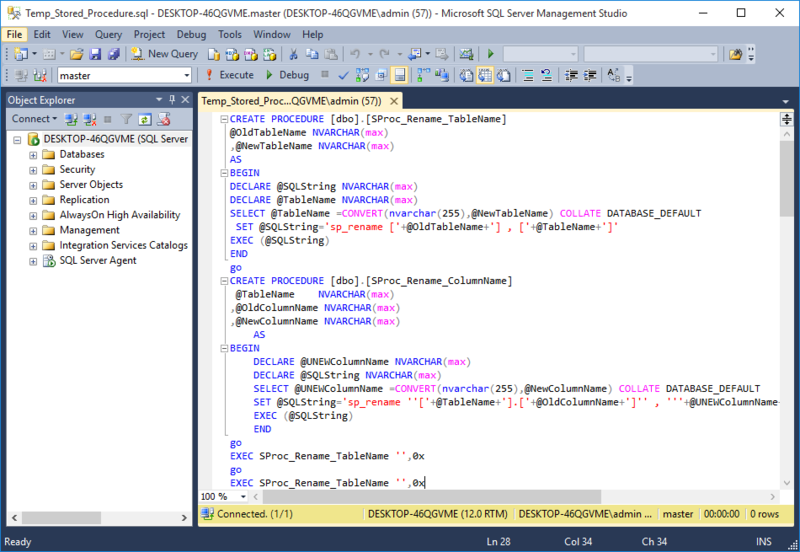 Step 16 : Preview the .sql file with help of SQL Server Database in the system. Q. 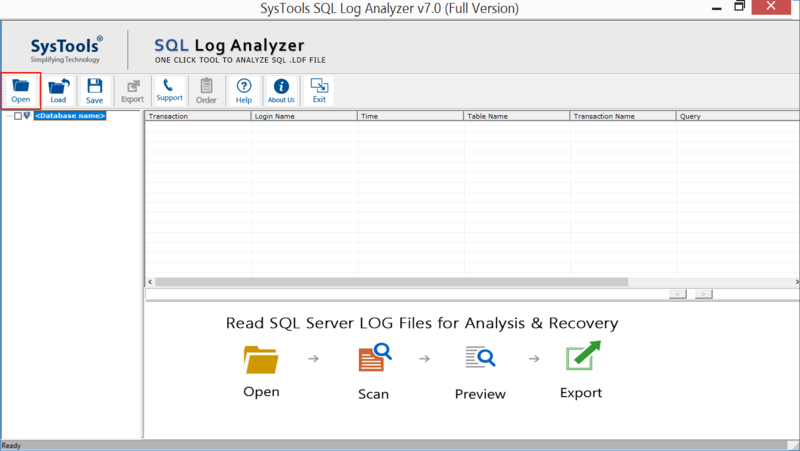 Can SQL Log Analyzer recover deleted records from transaction log file in MS SQL 2012? "I have mistakenly deleted few records in my database of SQL Server 2012 version. Will the tool be able to restore these deleted data from SQL transaction Log file?" 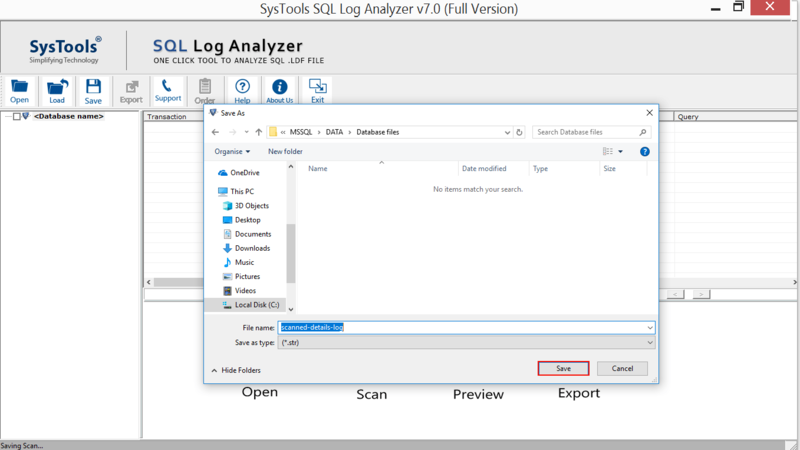 Ans: Yes, the SQL Transaction Log Reader tool first processes the SQL LDF file and aftre scanning, it enables you to restores the data from Log file whether the database in in Simple Recovery mode in SQL Server 2012. Q. Is it possible to view the SQL Log transaction file without the MDF file? Ans: No, without the MDF file the SQL Log Analyzer tool cannot process the SQL LDF file alone. There must be the MDF file associated to view SQL Log transaction file. Q. Can I able to view SQL transactions logs, if database records are deleted? Ans: Yes, if you need to transfer recovered data to other SQL Server database then you can export the SQL .ldf file queries in SQL Server compatible SQL scripts. One can easily view and analyze SQL Server transaction Log files. Q. Can I explore NDF (secondary database files) using this SQL Log Recovery utility? 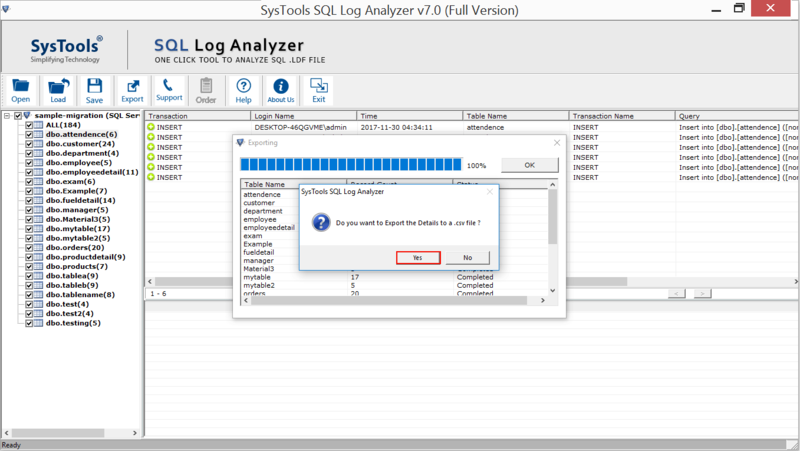 Ans: Yes, the SQL Log Analyzer tool helps the user to explore multiple NDF Files. This feature within the software helps the user to analyze multiple secondary database file data without any hassle. Q. 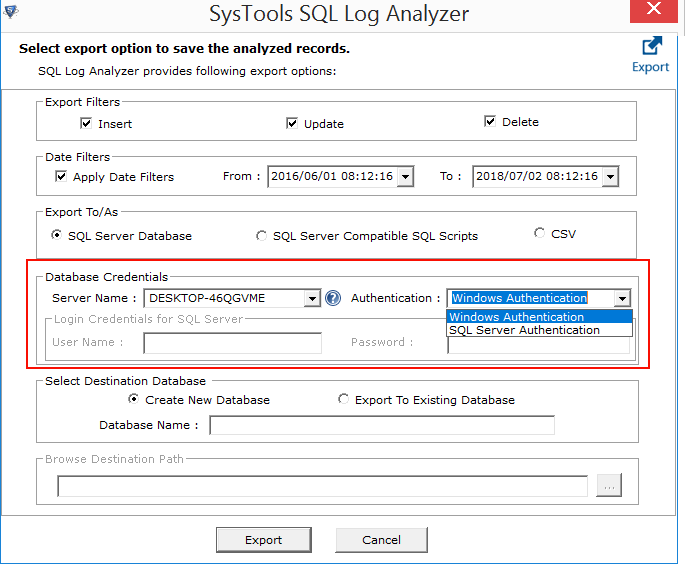 Whether this MS SQL Transaction Log Analyzer software supports all data types? 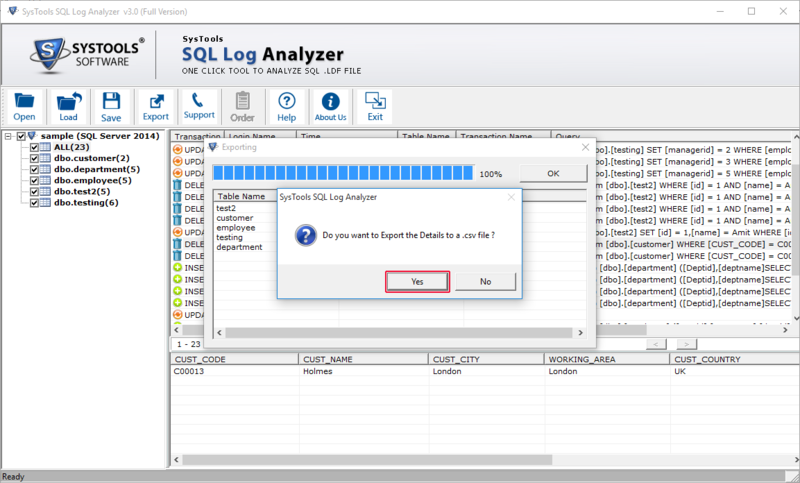 Ans: Yes, this SQL Log file viewer supports advance data type like Datetime2, datetimeoffset, sql_variant, hierarchyid, geometry & geography data types for the forensics of SQL Server 2016 and all below versions of transaction log files. Q. Can I run SQL Server Transaction Log Reader tool on my MS SQL Server 2016 version? 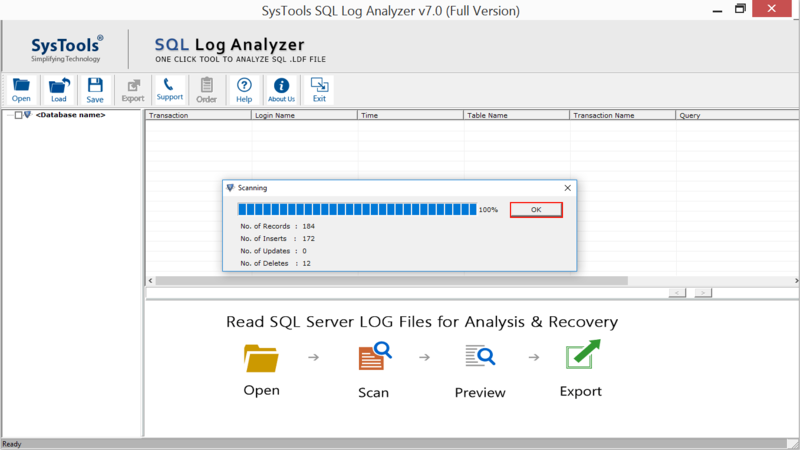 Ans: Yes, this SQL Log Recovery tool can easily support all version of SQL server. It allows SQL Server 2017, 2016, 2014, 2012, 2008, 2005. The user view, read, analyze SQL server transaction log (.ldf) files without any issues. Note: SQL Log Analyzer Software will get delivered on your registered email id, within few minutes after placing the order. Due to some carelessness from the SQL Server administrators, the database ended up with the corrupted SQL database. But after working with SQL Transaction Log Viewer to recover all my data from the corrupted SQL database, I feel so thankful to the entire team worked behind this application. Kudos!! SQL Log viewer is one of the best tools to recover SQL transactions log files. I had been trying to restore my MDF file with the help of Log file but it failed. That's when my friend suggested me to use SQL Log Analyzer software. It worked amazing for me. I rate this tool 5 out of 5. Thanks!! I was searching for an option to view deleted transactions in my Microsoft SQL Server. 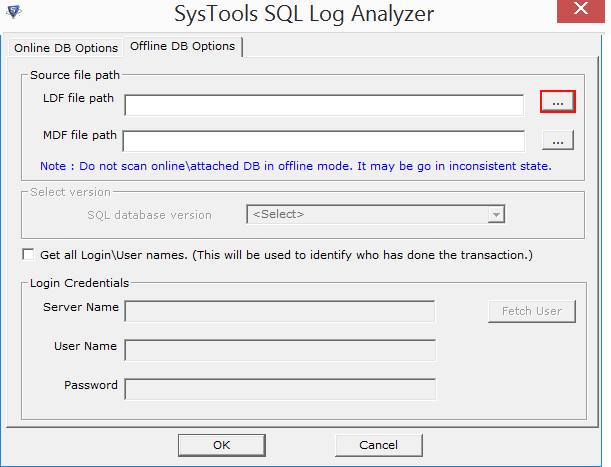 Finally I came across SysTools SQL Server Transaction Log Analysis tool. I was confused whether this utility could view and analyze database records that have been deleted. But the SQL Log Recovery worked well for me. Thanks to the team.